When considering new televisions today, it typically comes down to LED vs LCD because these are the two dominant technologies on the market. Both of these technologies are able to display amazing pictures and are great for HDTV. Some people still consider purchasing plasma TVs but they have begun to fall out of favor because of the significantly higher power requirements compared with either an LCD or LED TV. If you are shopping for a television, it is important to know a little bit about the technology difference between LED and LCD. Both types use a liquid crystal gel which is put in between two pieces of glass. It is this gel which creates the colors that are displayed on the television. The primary difference between LCD TV and LED TV is how those colors are lit up. LCD televisions have a fluorescent lamp in the back providing the light and LED screens are lit up using hundreds or thousands of tiny light emitting diodes. Each pixel has its own light emitting diode to light it up. When asked to compare LCD vs LED TV sets some people will have a strong opinion about one being better than the other but the truth is they both make great televisions so the choice often comes down to personal opinion. Many of the things people say about the different TVs are actually no longer valid because of some advancements in the technologies. For example, LCD screens used to have a problem with viewing them at angles. The picture would be great when looking right at the screen, but when viewing it from off to the left or right it would be virtually unrecognizable. The new In Plane switching technology has eliminated this problem entirely so you can now view a crisp and clean picture from any angle. People suggesting that the refresh rate of LED vs LCD is different are also discussing an old problem. It used to be the case that the refresh rate for LCD televisions was not as fast as for LEDs or even plasma. This made it preferable for people who enjoy watching sports, action movies or games with very fast moving images to choose something other than LCD. Fortunately, LCD has improved in this matter and can now have refresh rates which are just as high as those on other types of TVs. For most uses, many people won’t even be able to tell the difference in the two pictures. This is especially true if you’re not watching movies on Blu Ray, or have the 1080P HDTV as a picture source. The primary advantage to purchasing an LCD television today is that they have been around for longer and are a more established technology. Because they are a proven technology and have been around for several years, they are also cheaper than the newer LED options. While that price difference is shrinking, it is still going to be a significant savings to go with the LCD option. In the past people could only get the very large screens by going with a plasma screen, but that is no longer the case. Both types of TVs are available in just about as big of a television as you would want. They are both also able to display amazing images on these large screens without any degradation in quality, so there is no worry here. Due to the fact that each pixel gets its own light source, the LED televisions do outperform LCDs in most categories including fast motion, length of viewing angle, contrast ratio and color palette. The LEDs also use less power than LCDs and significantly less than a plasma. The fact that LEDs outperform LCDs may or may not be enough of a reason to spend the money, though. If you are not viewing your shows, games and movies in HD, then the picture quality of the TV won’t be much different at all. With regard to electricity use for an LCD vs LED TV, there is not a very noticeable difference and it is certainly not going to save you as much money as it will cost you to get the LED model. It does seem clear that LEDs are going to be around for quite a long time and as they continue to gain in popularity, their price will continue to drop. LCDs, however, also offer an amazing television viewing experience and have a proven track record of long lifespan and excellent quality. It may seem difficult when you compare LCD vs LED TV sets because there are valid arguments for both technologies. One of the best things to do when comparing LCD vs LED is to see if you can get a side by side comparison on the picture. Make sure when comparing the two that you are watching a movie or show that you would typically watch. It is best if this is either a sporting event or an action movie with lots of fast moving scenes. This will help you to tell if you can see any difference in how the picture looks. When running this comparison, it is also key to make sure they are both set the same for settings like brightness and contrast, or you won’t get a fair comparison. Once you see the two televisions side by side, most people won’t notice a huge difference between the two. If you like the look of one over the other, then that may be a good way to choose. If you really can’t see any difference in picture quality when you compare an LED vs LCD TV, then going with the less expensive LCD may be the right choice for you. Have you heard about the new type of television set being sold around the world, LED TVs? Before you get all excited and begin making plans to purchase a model, you might want to know a few things about LED TVs. To begin with, LED TV isn’t really accurate. State-of-the-art LED TVs can be found in modern sports venues around the world entertaining viewers. These LED TVs are in fact some of the largest televisions in the world. If you wanted a true LED television to mount on your wall, you would need to move into a modern sports stadium to make it feasible. What does Samsung mean by the term LED TV? Some believe Samsung coined this term as a marketing strategy. In fact the term LED TV as Samsung defines it just means a LCD implementing an LED back lighting system, rather than a fluorescent illumination normally used in LCD TVs. A rather simple distinction that the average television buyer needs to be aware of, before deciding what type of television to purchase in the future. 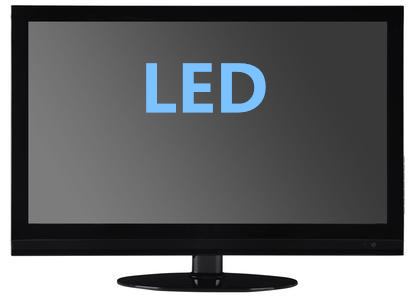 An LCD television requires additional illumination in order to produce enough light to allow viewing of the screen. An image isn’t visible on the LCD screen unless additional illumination is added to light up the pixels on the screen. Normally, this illumination would be provided by fluorescent light, but in LED TVs this back light is provided by state-of-the-art LEDs. This does mean that Samsung should probably call their new televisions LED-LCD TVs, or something similar. This distinction has also been noticed by some people who feel that maybe Samsung was trying to fool the buyer. How are Modern LEDs Used to Back light LCD Screens? The second method is called full array LED back lighting This method uses rows and columns of LEDs placed across the entire surface area of the viewing screen. This method allows for localized dimming of illumination in specific areas of the screen surface. This method also generally means the LED TV screen is going to be thicker. Check out the different models of LED TVs being marketed around the world, before deciding which to purchase. You definitely want to make sure you find out which models use the edge-lite or full array LED back lighting system. You probably also want to know which models is the most environmentally-friendly. 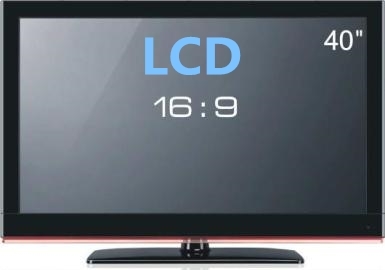 How Do LCD TVs Work? You went out and bought a brand new LCD TV and now you want a little more information on how your modern electronic wonder works. You need to understand how your new LCD TV works so that you can care for your investment. Below we provide some of the information you need in order to understand how your new television works. After reading this article you should understand a little more about your modern television. You should also have a better appreciation for the work of the scientists and engineers who created your television. Your modern LCD TV doesn’t have a genie inside that creates the wonderful visual images you see on the screen of your television. The display screen on your state-of-the-art LCD TV is composed of an array of tiny sections called pixels. Each individual pixel is made up of a row of liquid crystal molecules situated between two electrodes and two light filters. By applying an electric charge to the electrodes of each pixel the liquid crystal molecules will rotate under electrostatic force. This twisting can be controlled in order to allow for varying degrees of light through the light filters. This varying degree of illumination produces the light on the display screen of your LCD TV. The liquid crystal molecules in each pixel on the display screen on your state-of-the-art television are in a normal relaxed state until an electric charge is applied to the electrodes. These liquid crystal molecules are charged bodies that will align themselves parallel to any electric field present. By varying the amount of electric charge running through the liquid crystal matrix in each pixel to twist the molecules and allow specific amounts of light through to light up the display screen. The light used to illuminate the display screen is actually provided by an average fluorescent bulb sitting behind the liquid crystal solution. The display screen is completely white when the liquid crystal molecules are able to allow the full light spectrum through the polarized glass at the front of the screen. A full light spectrum coming through the glass means the light coming through can be altered to create any color under the rainbow desired. In order to create every color under the light spectrum on your display screen, each pixel has three different sub pixels of red, green and blue. By controlling the combination of red, blue and green sub pixels at varying intensities, scientists can create any color they desire. The black and white color produced by your display screen is achieved by filtering the white light. The light in this case is provided by cold cathode fluorescent lamps at the back of the display screen. This is how your modern LCD TV creates the amazing images on the screen you love to watch. This knowledge should help you appreciate the technology that went into creating your television. Now you should be able to just sit back and enjoy watching your state-of-the-art electronic wonder, without having to wonder how it works. In the race to compete for your hi-def TV dollars, there are three main contenders: Plasma vs LCD vs LED. Of these three, only LCDs and plasmas have made any serious inroads into the market, as LEDs are still struggling to make their way into the mainstream. Once you’ve settled considerations of budget and decided how much you can spend for a hi-def TV, the question is, which to get? This article will make the case for the benefits of LCD TVs and explain to you why you should buy one vs. a plasma TV. Price. While both LCD and plasma TVs offer sets with comparable full 1080p display capability at larger screen sizes, LCD TVs offer a wider range of affordable choices in screen sizes ranging from 37” and above. In fact, experts have said that if you plan to get a Blu-Ray or Upscaling DVD player for your home entertainment system, LCD TVs are the more cost-effective choice as you can get a 37” to 42” LCD with 1080p native pixel resolution for a lower price than a comparable 42” plasma TV. And as a minor plus, LCD TVs are generally lighter than plasma sets, making them easier to install. Better viewing experience. This is actually a selling point for both LCD and plasma TVs, which have flat screens. You can watch TV from virtually anywhere in the room, since LCD TVs have a viewing angle of as much as 160-degrees, meaning you get a clear picture even if you’re seated 80-degrees off-center. However, plasma TVs have long touted their better viewing angles, but the price differential may make this slight advantage less of a selling point for buyers. And newer, high-end LCDs claim to have viewing angles comparable to plasma TVs. Plus, LCD TVs generally look better in brightly-lit rooms than plasma TVs since there is less glare from the screen. Longer life span. The average lifespan of an LCD TV is around 60,000 hours, longer than a comparable plasma TV. If you watch TV for an average of eight hours a day, your LCD TV would last around 20 years before you would need to replace it. Some manufacturers have claimed a lifespan of as much as 80,000 hours for their LCD sets but these are under controlled conditions and thus, such claims should be viewed skeptically. Less electricity consumption. Plasma TVs generally use more electricity to produce their picture than LCD TVs, increasing the cost of operating them. Some tests have shown that a 52”-55” inch LCD TV consumes less than half the electricity used by a comparable 50” plasma TV. Adding to the plasma TV’s increased energy consumption is the fact that it generates more heat than an LCD. Less susceptibility to burn-in. Burn in is the common term for image retention or ghost image, in which images are burnt onto the screen. This has been a common complaint for owners of plasma TVs for a number of years, although improvements in technology have addressed the problem in newer models. LCD TVs, however, have no burn-in susceptibility. LED TVs have been heavily hyped lately as the next big thing in hi-def TVs, with improved picture quality compared to their LCD counterparts. This claim is a little deceptive, as LED TVs are essentially LCD TVs, the main difference being that LEDs use light emitting diodes as backlighting as opposed to the standard fluorescent tubing used in LCDs. 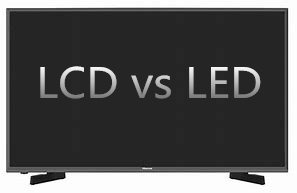 So when the phrase LED vs LCD is used, what you’re actually comparing is LED-LCD TVs and LCD TVs. That said, there are many benefits of LED TVs and many reasons why you should buy one. This article will give you some of the reasons why you should buy an LED TV. Better picture quality. Most experts agree on this. Even a cursory examination at the store would show that LEDs have better image quality compared with LCDs or plasma TVs. The reason for this is that the LED backlighting allows for improved contrast levels and display of blacks as well as better color accuracy. And if you get a full array LED TV, in which the LEDs are arranged across the entire surface of the screen, there is little light leakage from the screen in darker scenes, allowing for better dark levels than those of other types of hi-def flat screen TVs. Brighter Pictures. This is a particularly important consideration if you’re planning to use your LED TV in a room with a big picture window, such as your living room, or one that otherwise is brightly lit. Apart from a more brightly-lit picture, LED TVs also have non-reflective screens, reducing glare and making viewing easier. Lower power consumption. In general, LED TVs use less electricity to run compared with LCD TVs. However, this may not be true for all types of LEDs. According to experts, edge-lit LEDs, in which the LEDs are arranged around the edges of the panel, use 30% to 40% less power than LCDs or plasmas. But the same may not be true for some models of full-array LEDs, which may even use more power than plasma TVs. So if this is a concern for you, check the model of LED TV you’re buying very carefully. Better aesthetics. Depending on which type of LED TV you’re getting, they can be extremely thin, making them not only easier to install in your home theater, but also more attractive to look at. Again, however, there are differences between models, as LEDs that use the edge backlight technology are generally thinner than those which use full-array LEDs. More environment-friendly. LED TVs do not use mercury, compared with the traditional LCD TVs, which makes disposing of them safer when they have to be replaced. And they reportedly last longer than LCD TVs, which means they’ll need to be replaced less frequently than other types of TVs. Some manufacturers are even claiming a life of 100,000 hours although this has yet to be validated. Finally, however, one major disadvantage has to be mentioned: the price. LED TVs cost a lot more than comparable LCD TVs. However, to make up for this, manufacturers are including a wider feature set with their LEDs. And the savings in your electricity bills may help offset the increased initial buying cost over time.